FORT WAYNE, Ind. 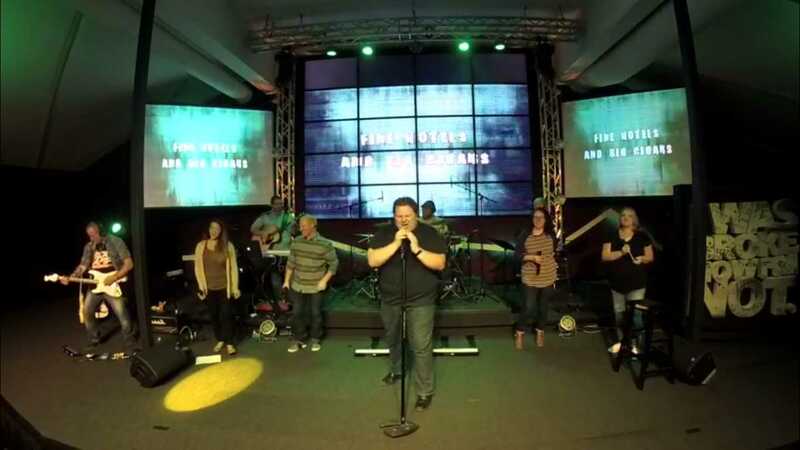 — The worship band of a non-denominational “church” in Indiana recently performed the song “Money Talks” from the secular rock group AC/DC—also known for its “Highway to Hell” tune that celebrates having a party in Hell with one’s friends—during the Sunday morning service to correspond with the pastor’s sermon series. “Come on! Put your hands together Pointe Church!” declared Fort Wayne Pointe Church Worship Pastor Josh Anders as an electric guitar riffed and drums beat behind him. At the conclusion of the song, as Anders asked those in the congregation to “give it up” for the lead guitarist, those present clapped and cheered. He also welcomed visitors who decided to attend for worship that morning. The selection of “Money Talks” was meant to tie in to the Pointe Church sermon series entitled “I Was Broke, Now I’m Not,” and was performed directly after leaders led those present in a prayer, asking that God would speak those those in attendance who do not know Him. Pointe Church is led by Ray Harris, who founded the assembly in 2005. “This is shameful! AC/DC in church,” another lamented. A call to Pointe Church for comment was unreturned. Performance begins at approximately 24 minutes into the service.